Lake of the Ozarks Habitat for Humanity conducted its latest home dedication today for its newest partner family, Osmar Gopar Ortiz, his wife Lucia Gonzalez Martinez and their two children. 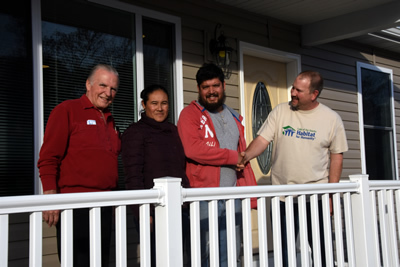 LOTO Habitat Board President Michael Wagner conducted the ceremony and Tom Reth, Board Member and Construction Chair, presented the house keys to Ortiz and family at their new home in Camdenton, MO. This is house number 19 built by Habitat at Lake of the Ozarks. In addition, Board member and LOTO Habitat Vice President Charli Allee presented Ortiz with housewarming presents. Next the Ozark Hills Quilters Guild gifted Ortiz, his wife and two children with personalized handmade quilts. For a Camdenton family, the holidays will come with an extra present this year — a new home. Amanda and Chris Stoecklein along with their three children and family dog will have something else to be thankful for come November or December. 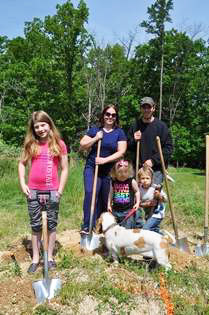 Stoecklein family, parents Charis and Amanda with children Alexis, August and Isabella break ground on their new home. 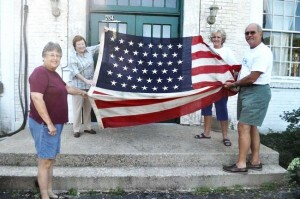 Camden County Museum receives a rare 45-star flag that had sat in a box at the Habitat for Humanity Re-store. 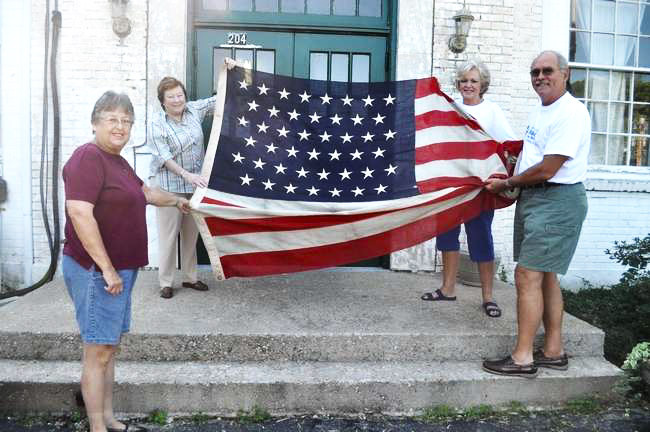 Museum volunteer Pam Jones, museum archivist Valerie Thomas, along with Kibbie and Philip Rolf with the Habitat for Humanity Re-store, display a rare flag given to the Camden County Museum. 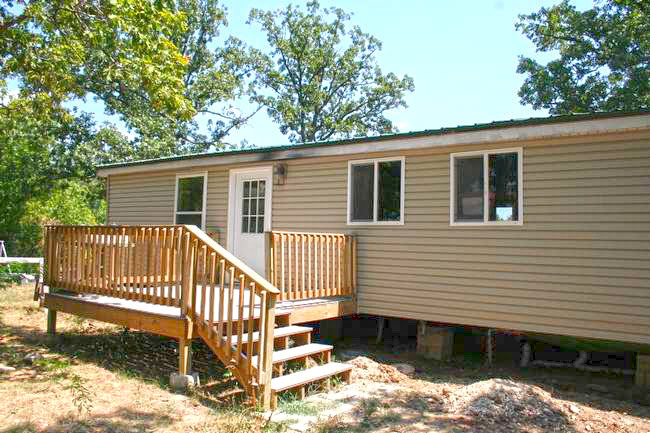 Lake of the Ozarks Habitat for Humanity teamed up with Lake Area Helping Hands to renovate a mobile home to house Helping Hands tenants. Habitat for Humanity started on the renovations in April 2011 and finished in June 2012. Skirting needs to be placed around the bottom of the trailer. 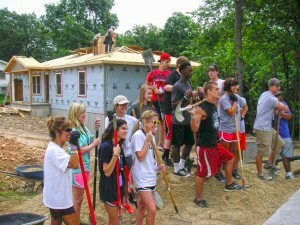 A group of teenagers from Nettleton, Miss. began their summer break at Lake of the Ozarks, but not by spending their time on the water. 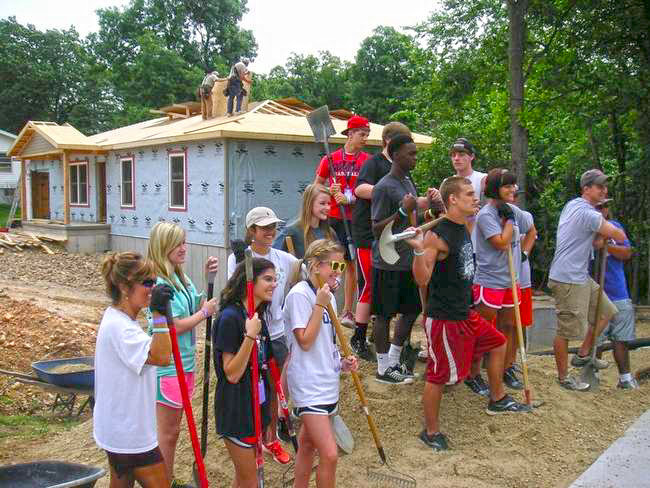 Instead of wakeboarding and tubing, these students volunteered.